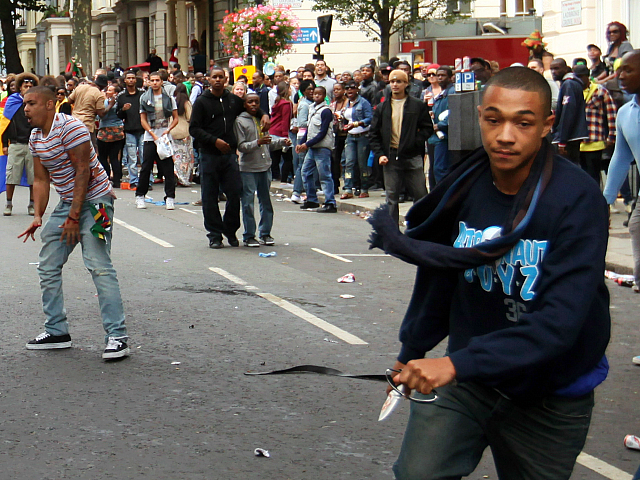 Dr Martin Griffiths, a consultant surgeon at Barts Health NHS Trust, said soaring knife and gun crime has resulted in London “looking more like South Africa, or inner-city U.S.” with regards to the rate of attacks. “If it was hot weather right now, it would be carnage. When it gets a few degrees warmer, it’s going to be taxing. It’s going to be difficult,” he told The Times. The doctor, who earlier this month revealed some of his military colleagues have likened the situation seen in London trauma wards to hospitals in Middle East war zones, said that treating young teenagers with life-threatening injuries had become “the bread and butter” of his work at the Royal London Hospital. “Every day an ambulance rolls up with a kid who has been stabbed. That can’t be right. We’re not at war,” said Griffiths, who has treated victims of gun and knife crime as young as nine. “You’re sitting there in a [resuscitation] bay at 7.30 p.m. on a Thursday evening. It’s not even dark but you’ve got four children in your bays and you’re thinking to yourself — this is not what I trained for,” he said. More than 60 people have died from stabbings alone in Sadiq Khan’s London so far in 2018, with the UK capital having catapulted ahead of New York in the homicide rankings for the first time since 1800 earlier this year. Earlier this week the Labour mayor was told to “take responsibility” for spiraling violence in the city by prominent Tory backbencher Jacob Rees-Mogg, while foreign secretary Boris Johnson warned that Khan must not “go soft” on criminals. Falling use of stop and search has been highlighted as contributing to the knife crime epidemic, with Khan having campaigned hard against the police tactic before he was elected, claiming it harms “trust” between officers and ethnic minority youths.